George Kendrick from Slidell, La. 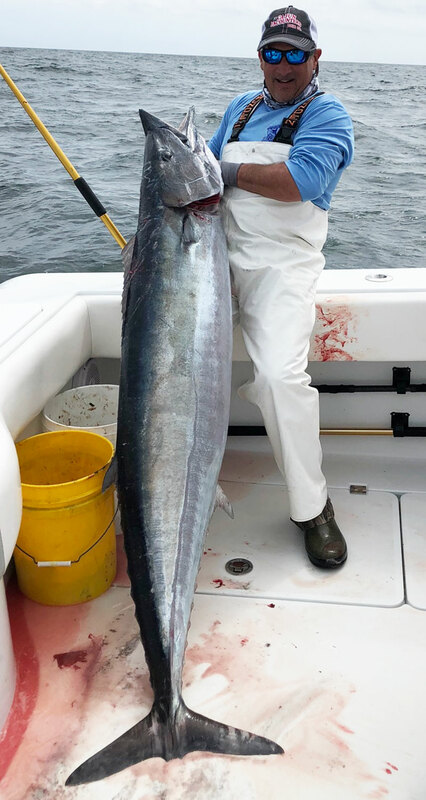 caught a 109-pound wahoo on March 8 while fishing aboard the 37-foot Freeman Annabel Lee out of Cypress Cove Marina in Venice. The fish is currently in the process of being certified as the seventh largest wahoo caught in Louisiana waters. Kendrick caught the fish on a chartreuse/blue Rapala Stretch 30 while trolling at a speed of 8 knots near the 24-mile rig. He was fishing with a group that caught five wahoo in about two hours. “We were tuna fishing at The Lump with no luck before moving to the 24-mile rig,” said Matthew Daigle, another angler who was fishing with Kendrick. Of the five wahoo they caught, the 109-pounder was the biggest, and two others topped the 80-pound mark. 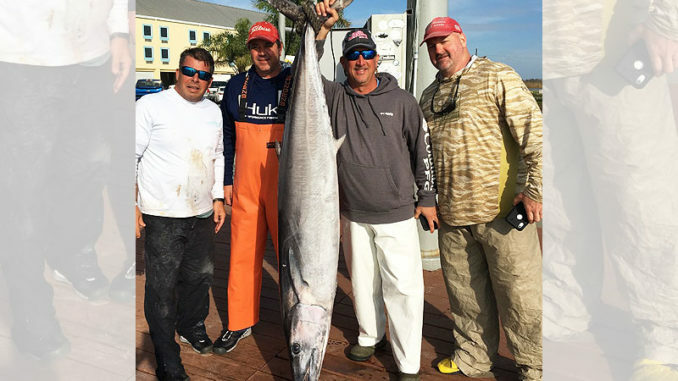 If approved, George Kendrick’s 109-pounder will be the 7th largest wahoo caught in Louisiana waters. Wahoo can be caught year-round in Louisiana’s offshore waters. Winter and early spring is usually the best time for catching them, but plenty of diehard anglers target them all the way through June and July. They are often found 15 to 30 miles off the coast of Venice, and it’s typical to catch them around oil platforms and weed lines anywhere from a foot to 500 feet below the surface.